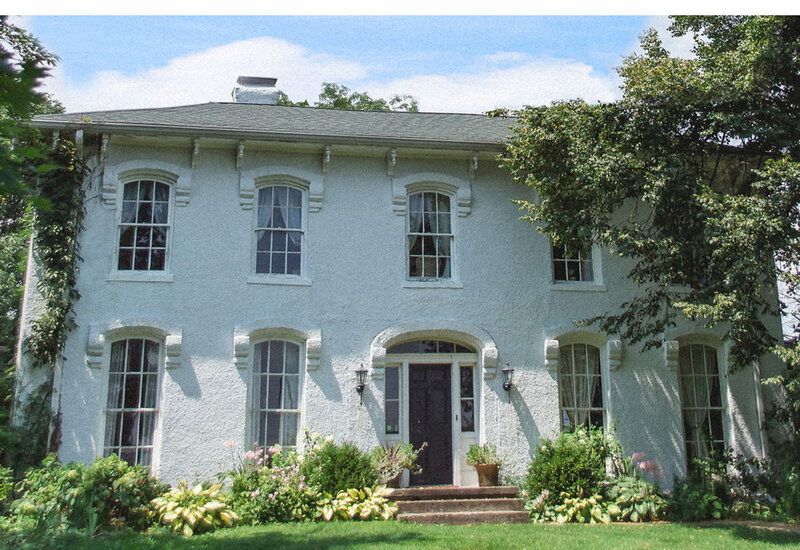 Enjoy a relaxing, romantic TRIP TO our 1850's country manor, Granville, ohio. 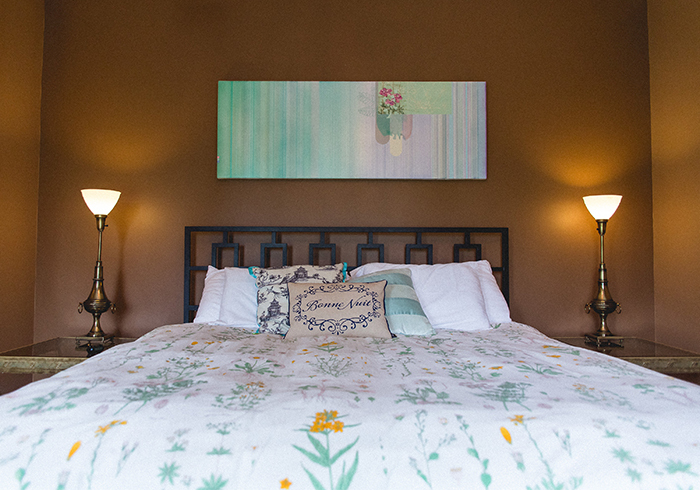 Stay in our boutique styled inn with professionally curated contemporary artwork and regionally acclaimed farm and local sourced, gourmet breakfasts. EnjoY A SPRING SnUGGLE UP! Stay a night this spring and we'll take 20% off your room, PLUS $40 OFF couples massages. Enter code SNUGGLE2019. ONLY valid when you book directly thru our website. Booking available on stays now through June 30, 2019, not valid with other specials and offers. 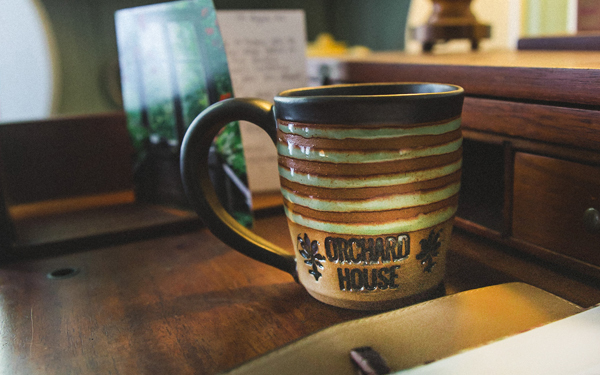 Thirty-five minutes from downtown Columbus, Ohio on 12 acres outside Granville and minutes from Newark, Pataskala, Buckeye Lake, and New Albany, Orchard House of Granville is an artistic boutique inn - blending contemporary furnishings and artwork, with antiques. Every overnight stay includes, our regionally acclaimed, gourmet, locally sourced breakfasts. Try out GLAMPING - glamorous camping - out by the pine forest. 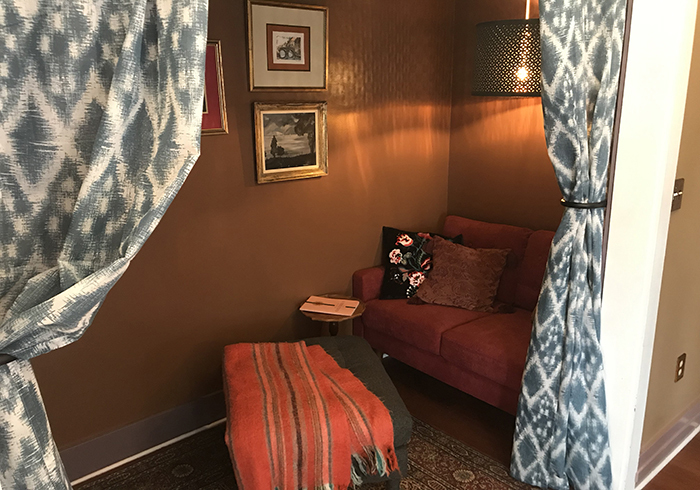 Explore Licking County, visit the Newark Earthworks, get a massage, hop over to Easton for shopping, enjoy a glass at our daily wine tasting, snuggle up by the bonfire. This king room has and an en suite bath with dual sinks and shower. 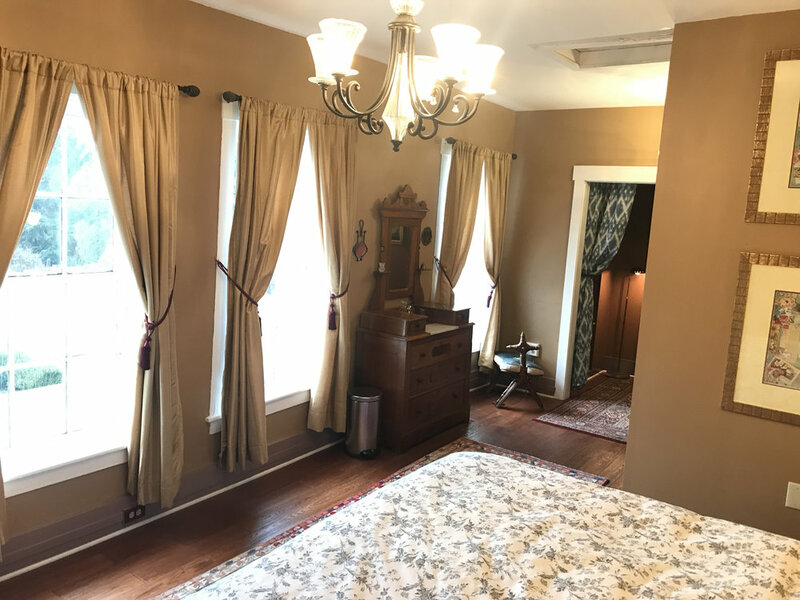 A cutey of a room with queen bed and private bath steps across the hall. Our newest king suite with direct access off the courtyard, sitting room with pullout queen sofa, multiple head, spa shower. Low barrier, family friendly. Columbus area's only glamping - in our pine forest clearing. Queen bed, private half bath in the main manor. Back to nature with the amenities of staying in the House. 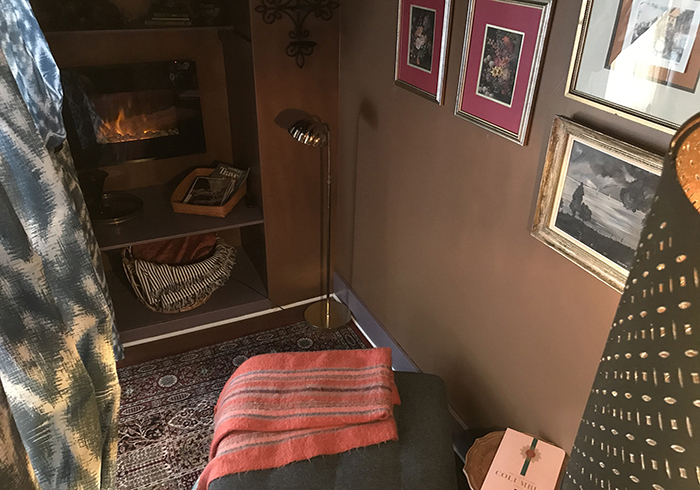 This roomy king suite has a very unique snuggle nook with a fireplace. Of course, a private, en suite bath. Also enjoy a private second floor patio that overlooks the courtyard, lawns and fields. ONLY valid when you book directly thru our website. Booking available on stays now through June 30, 2019. Not valid with other specials and offers. 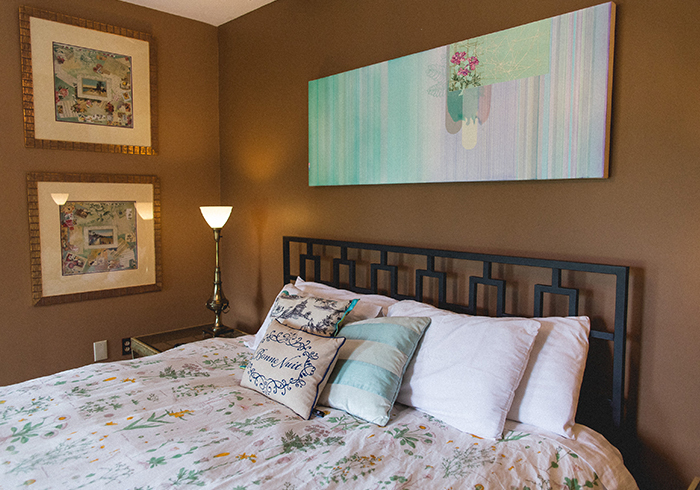 The Job Paige Suite has a luxurious king size bed, fireplace, reading and writing nook. Your bath is ensuite. 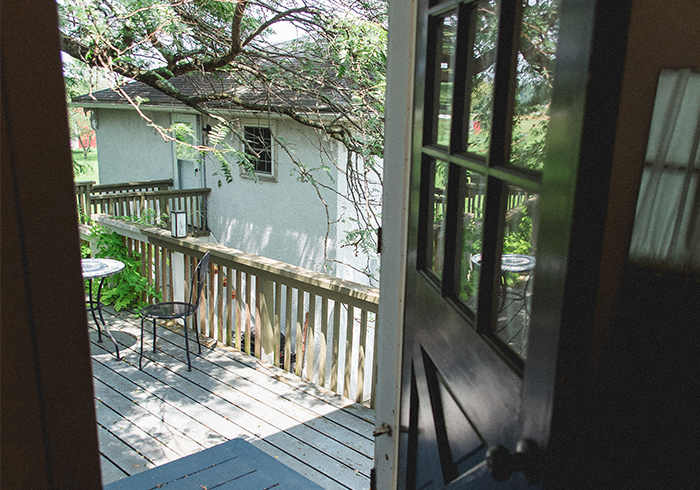 Enjoy the private second floor patio nested under the trees, overlooking the courtyard. Full, hot, gourmet breakfast included, of course! 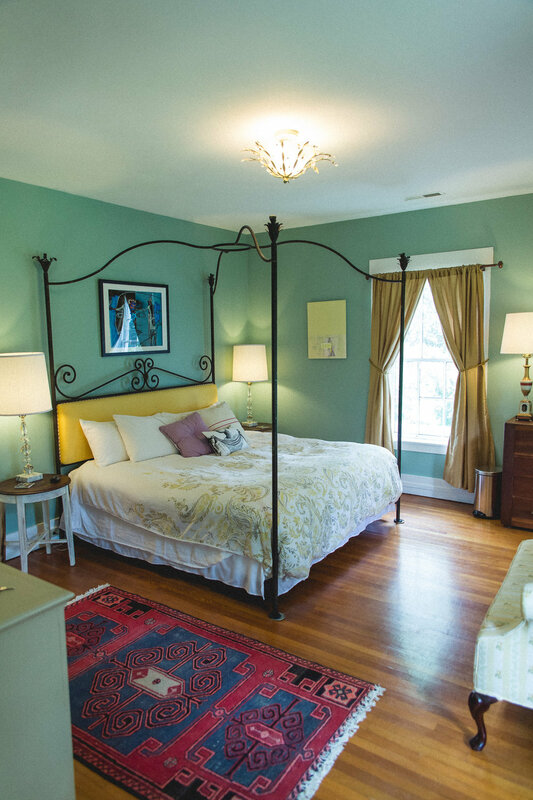 The Carriage House is our newest suite - entire via the french doors right off the courtyard. The bedroom of this two room suite features a king size bed and electronic fireplace. In the sitting room enjoy a deep sofa that pulls out to a queen bed .The ensuite bath has a walk in multi-head spa shower. The suite has a light equestrian feel that reflects the former carriage house's use, this suite features stone and wood styling blended with modern furnishings. Full, hot, gourmet breakfast included, of course! 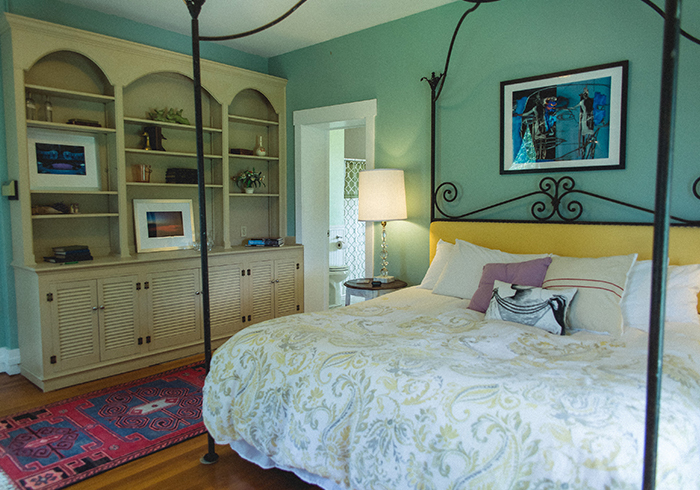 The natural light in the room accents the beauty of the furnishings including an elegant king-sized canopy bed. This room also features an en suite bathroom with a shower and double sinks. Full, hot, gourmet breakfast included, of course! The spacious room features unique, vibrant styling with a queen bed, seating area and writing desk. 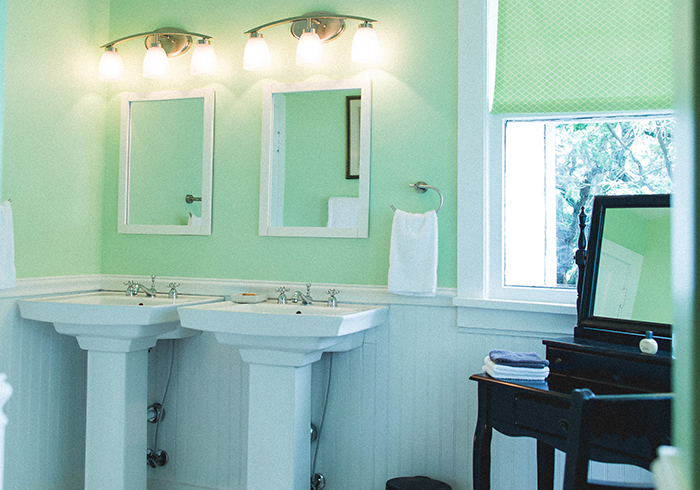 The detached, private bath is a few steps down the hall with a full bathtub/shower. Full, hot, gourmet breakfast included, of course! 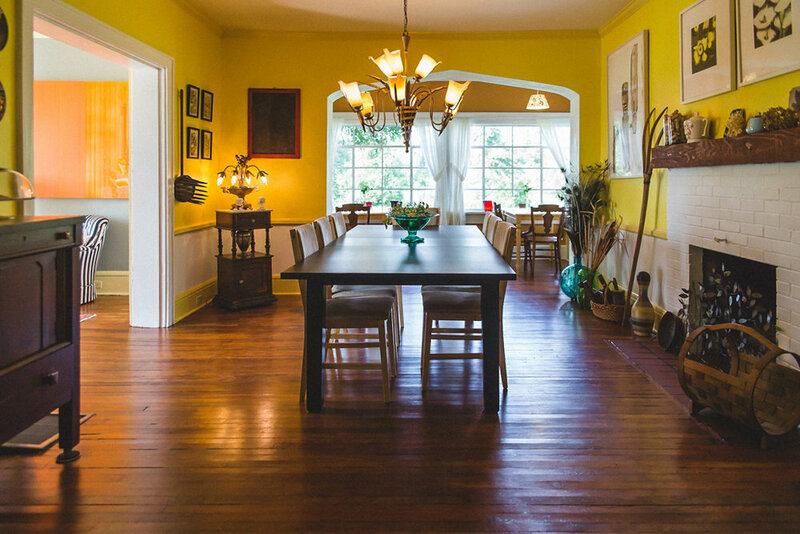 Reserve the entire house for your family reunion, business retreat, graduation, Denison event weekend. 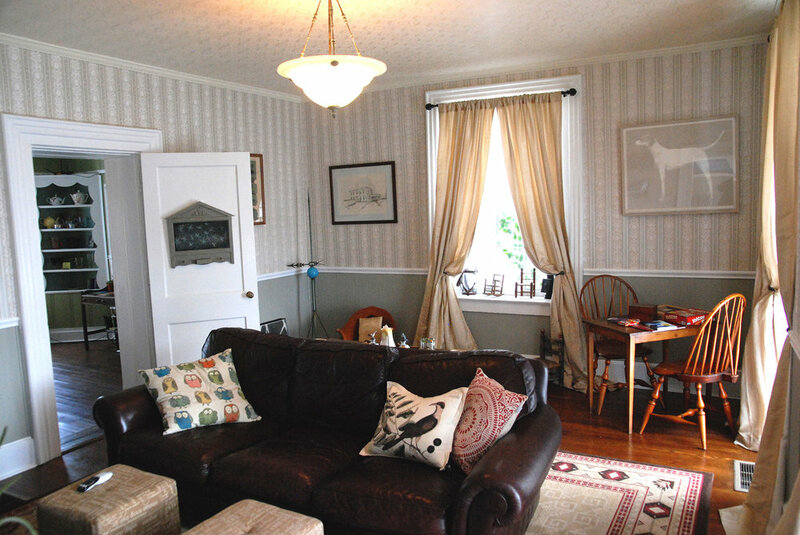 With a whole-house rental, we can accommodate up to 18 guests. Family-style breakfasts of the same high quality are served to you each morning! Call Dean to discuss special available arrangements. Camping without the hassle. 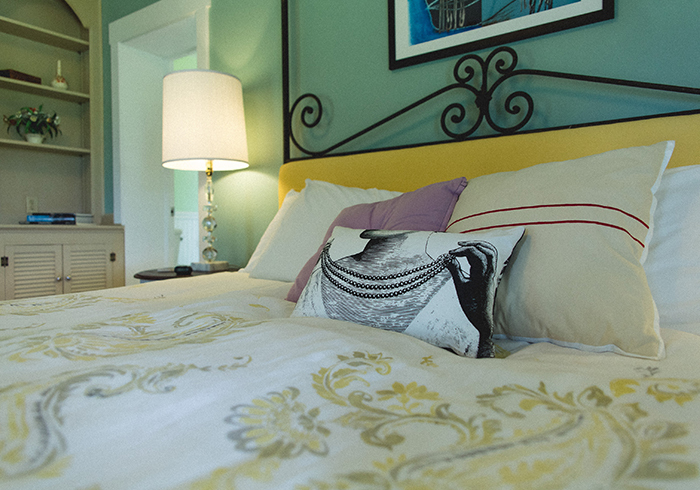 Regular queen bed with down comforter, private half-bath in the main manor, secluded outdoor passive solar shower. Access to all the amenities offered to main manor guests. Add on a massage, tent-side refreshments and a bonfire at the end of the day to fully relax. Full, hot, gourmet breakfast included, of course!Available mid-April to November 2019.